Approved for totally enclosed fixtures, the Satco S8205 18-watt compact fluorescent light bulb has an instant-on quality that emits an inviting warm white, 2700K color temperature. 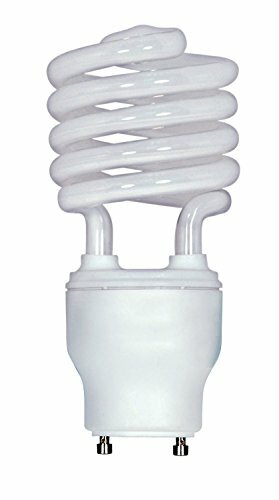 This self-ballasted spiral CFL will save on energy consumption, reduce light bulb changes, and lower greenhouse gas emissions. Replace your 75-watt incandescent light bulb with the Satco S8205 compact fluorescent and start saving now! 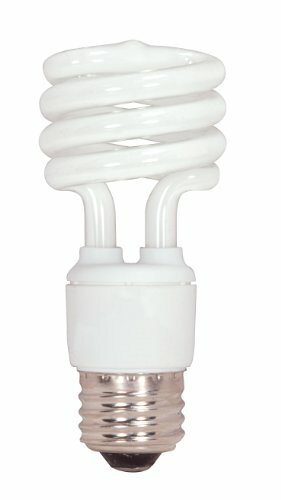 13-watt GU-24 Self-ballasted Compact Fluorescent Bulb. 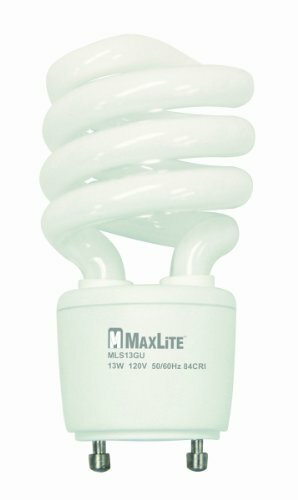 This 13-watt compact fluorescent light bulb features both energy savings and long-life performance. 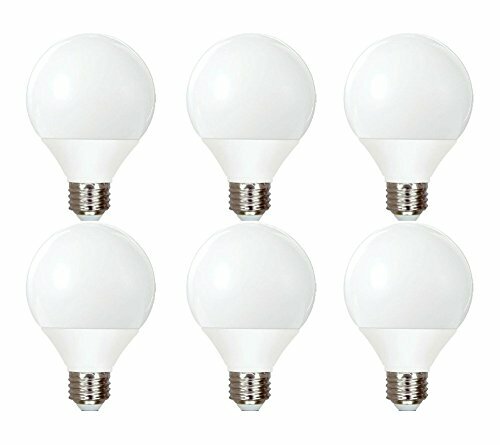 Soft white appearance is similar to traditional incandescent bulb. GU-24 bi-pin base fits energy efficient light fixtures. 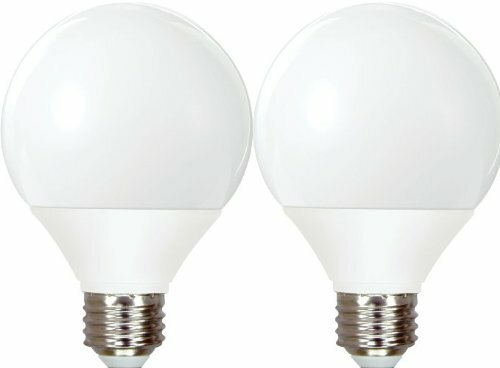 Energy Star rating means this bulb meets Federal efficiency standards. Brightness: 850 lumens / Estimated Yearly Energy Cost: $1.57 (Based on 3 hrs/day, 11-cents/kWH. Cost depends on rates and use.) / Life: 9 years (Based on 3 hrs/day) / Light Appearance: 2700K (soft white). Warranty: 1 Year / Color Temperature: 2700 / Lumens: 850 / Rated Life: 9 years (Based on 3 hrs/day). Fluorescent lamps are phosphorous-coated tubes filled with a low-pressure mercury vapor. Light is produced by passing an electric arc between tungsten cathodes at opposite ends of the tube. This causes the mercury vapor to generate a radiant energy. 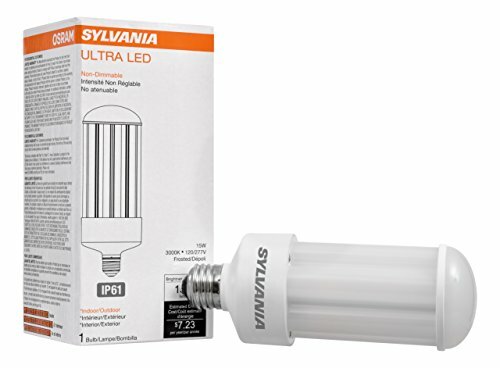 The Sylvania ultra LED high lumen lamp is a self-ballasted medium base hid Replacement lamp. The lamp is easy to install and is ideal for indoor high/low bay lighting and outdoor decorative post top fixtures in walkway lighting applications. Quality of light the Sylvania ultra high lumen lamp provides excellent color rendering (82 CRI) in comparison with traditional high pressure sodium and metal halide lamps, and a selection of color temperatures (3000K, 4000K and 5000K). optical design optical design efficiently directs light output in a 360 Degree (horizontal) beam angle (or omnidirectional) with type v distribution. Suitable for indoor and outdoor applications. IP60 rated, 120/277V Input voltage. Not dimmable. Application notes: 1. Operating temperature range between -40 Degree and +130 Degree. 2. Existing hid ballast needs to be bypassed. 3. Verify fixture size before installation to ensure fit. 4. Not suited for outdoor fixtures with air vents. 5. Should not be directly exposed to water/humidity. 6. Suitable for indoor/outdoor use. Dry applications only. 7. Can be used in enclosed fixtures. 8. For detailed warranty information, please see Sylvania website. 9. Not intended for use in dimming applications. 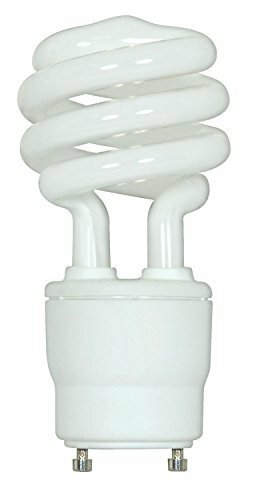 GE 89096 11-Watt Energy Smart CFL Self-Ballasted Globe G25. Bulb Finish: Soft white, Color Rendering Index (CRI): 82, Color Temperature: 2,700 K, Equivalent Wattage: 40 W, Initial Lumens [Nom]: 500.00, Input Current: 0.1700 A, Input Voltage: 120 V, Mean Lumens [Nom]: 400, Mercury Content: 3.500 mg, Nominal Initial Lumens per Watt: 45, Nominal Length: 4.200 in, Picograms of Mercury: 875.0 pg, Power Factor: 0.600000023841857, Product Technology: Compact Fluorescent, Rated Life [Nom]: 10,000-Hours, Starting Temperature [Min]: 5 -DegreeC, Total Harmonic Distortion (THD): 120.000 percent, Wattage: 11 - Compact Fluorescent Self-Ballasted Globe GE Energy Smart G25 For product questions regarding GE Lighting products, please call GE Hotline 1-800-435-4448, Monday – Friday, 8:00 a.m. - 6:00 p.m. EST Follow the recording prompts or ‘stay on the line’ to speak directly to a customer service rep.
Approved for totally enclosed fixtures, the Satco S8210 23-watt compact fluorescent light bulb has an instant-on quality that emits an inviting cool white, 4100K color temperature. 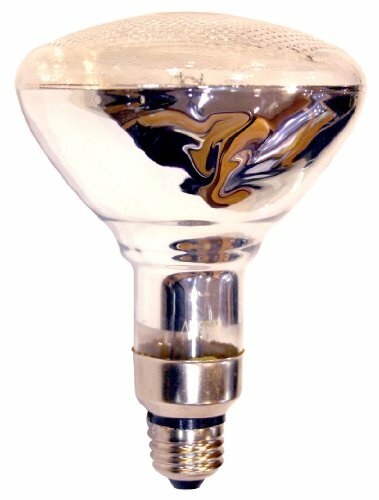 This self-ballasted spiral CFL will save on energy consumption, reduce light bulb changes, and lower greenhouse gas emissions. Replace your 100-watt incandescent light bulb with the Satco S8210 compact fluorescent and start saving now! Compare prices on Base Self Ballasted at ShopPlanetUp.com – use promo codes and coupons for best offers and deals. We work hard to get you amazing deals and collect all available offers online and represent it in one place for the customers. Now our visitors can leverage benefits of big brands and heavy discounts available for that day and for famous brands.